MUMBAI (Metro Rail News): The Mumbai Metropolitan Region Development Authority (MMRDA) has initiated informal talks with Malaysia-based Scomi Engineering to procure spare parts for Mumbai Monorail. According to the Sources from MMRDA said that several vendors agreed to supply spares but are reluctant as they are still dealing with Scomi. On December 2018 MMRDA terminates contract with L&T-Scomi JV. An MMRDA source said that many vendors are reluctant as they have some sort of arrangement that spare parts relating to Monorail can only be supplied by Scomi. So that officials have initiated informal talks with Scomi to procure the spare parts. The additional spare parts will help the smooth functioning of the four operational trains. It will also help repair the remaining six trains and make them operational. This will help in bringing down the frequency from the current 22 minutes to 45 minutes when two out of the four trains are sent for routine maintenance. The monorail has carried seven lakh passengers in last one month from the date of operation. However, MMRDA has not released details of trains that were canceled or delayed in the first month due to technical glitches. MMRDA has also floated bids to procure 10 trains. Three companies have shown interest in the bid apart from aiming to repair six defunct trains. 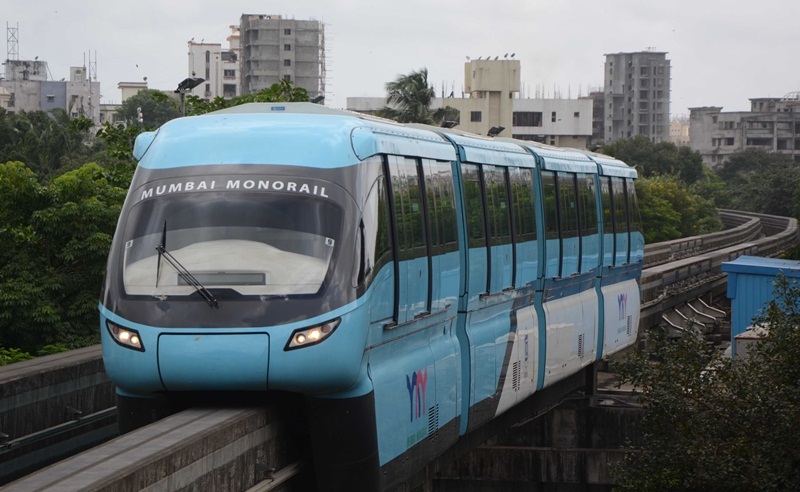 The Mumbai Monorail project for which construction started in 2008 by a consortium of L&T and Scomi Engineering has been in news ever since its partial operations between Chembur and Wadala started in 2014. It got fully operational between Chembur and Mahalaxmi earlier this month. The MMRDA has spent around Rs 3,000 crore but has still not been able to run it efficiently. MRN had earlier on April 08, 2019 reported as to how Larsen & Toubro along with Malaysian Scomi Engineering (LTSE) had warned MMRDA that by terminating their contract and taking over commercial operations of Mumbai Monorail, they have put the safety of public and the overall system at high risk.